That’s good advice. 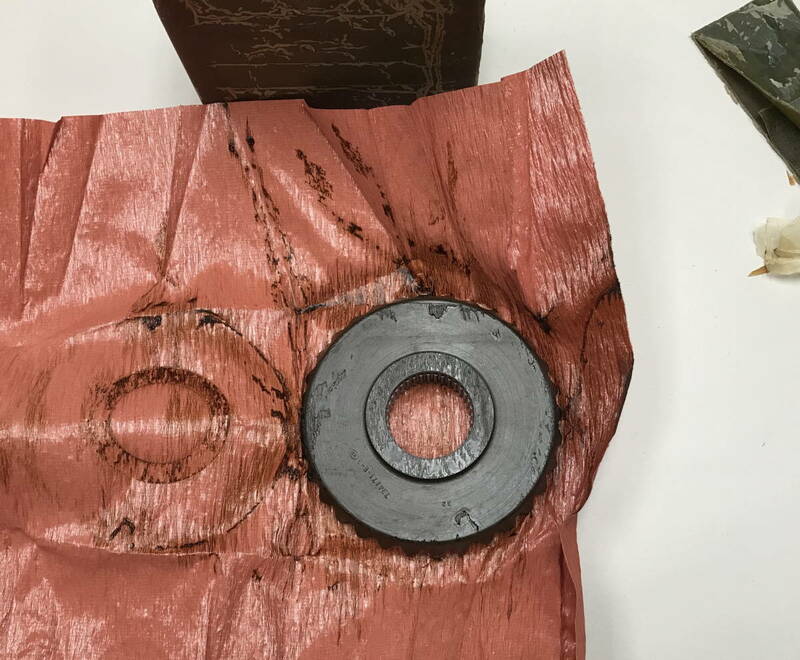 The box is sealed and waterproof, but once it’s open, everything inside can begin to rust. A little hard to read the label, just yet. Let’s cut back the wrapping paper. 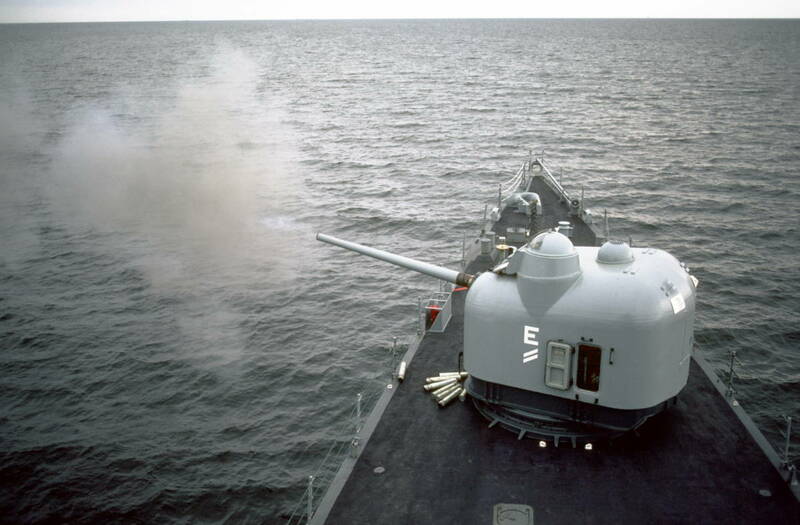 This type of gun was used on US Navy destroyers in the 1950s, and is still in use by some navies today. For scale, the barrel on that is 6.9 meters in length. But, let’s get back to the box. The outside of the box is covered in a thick (1-2 mm) layer of green wax, a little bit like you might find on a wheel of soft cheese. It appears to be cardboard underneath. It looks as though the cardboard box was first wrapped in lightly-waxed gauze and then dipped entirely in the wax for a watertight seal. Under the lid, we find several pads of dense cotton wadding. This box does not rattle. Inside, under the wadding, we find two tightly wrapped bundles. The inner packages are not sealed, just folded over like a wrapped sandwich with a single piece of (long deceased) tape. The wrapping material is a salmon-colored crepe paper, lined with plastic on one side. Although it looks like the paper is wet, it turns out to just be a little of the sealing wax. Inside the little package: The first of the gears! Here’s a better view of the small gear. Look at that workmanship! Now, here’s the big gear. It’s greasy in there, but no sign of corrosion. Big gear, better view. Check out those cut splines in the middle! And finally here are the two of them, perfectly meshed at 90 degrees. My-father-the-engineer never got into CAD, even though he had the opportunity; I think he *liked* doing it by hand. I have some of his sketches, as well as the statted and signed drawing printed for his retirement. (It’s a ship’s propeller – they were working out how to refurbish them. Doing that one by hand must have been tricky; it’s showing both sides of the propeller.) He’d have appreciated these gears. Ha, a bit of déjà vu here. I’m helping to move an old mechanical engineering factory to a new location and daily I come across a plethora of similar ‘ancient’ items—many of which date back from the 1960s to WWII (early 1940s). The items mainly consist of ex military disposals stuff (electronic and mechanical parts and various complete equipment). Items range from the very small—electronic components: resistors, capacitors, potentiometers, vacuum tubes, klystrons, switches, grommets, screws, nuts etc.—to large transformers, power supplies through to complete radar units, radio receivers and aircraft parts and so on. As with the above photos, every item is packaged to an extraordinary degree—so much so I reckon the items would still appear new and likely work in a 100 years or more (although the electrolytic capacitors would be somewhat iffy I’d reckon). Many items are packed with silica gel and almost invariably the cobalt chloride markers in the gel are still blue (indicating the items have remained fully sealed and dry since manufacture). You want to be careful with the foam padding. There is a possibility that it could be made from Asbestos. The coating on the outside is not grease. The Navy uses cosmoline for sealing parts. I scuba dive off Virgina Beach and there are sunken liberty boats with this same kind of gear still onboard. It is unreal to pull a prt up from 70ft and still have the cosmoline on it and is not corroded. The USA used to make great things. CNC isn’t that much help making gears, and they wouldn’t have drawn the gears on the drawings either, except as a representation. 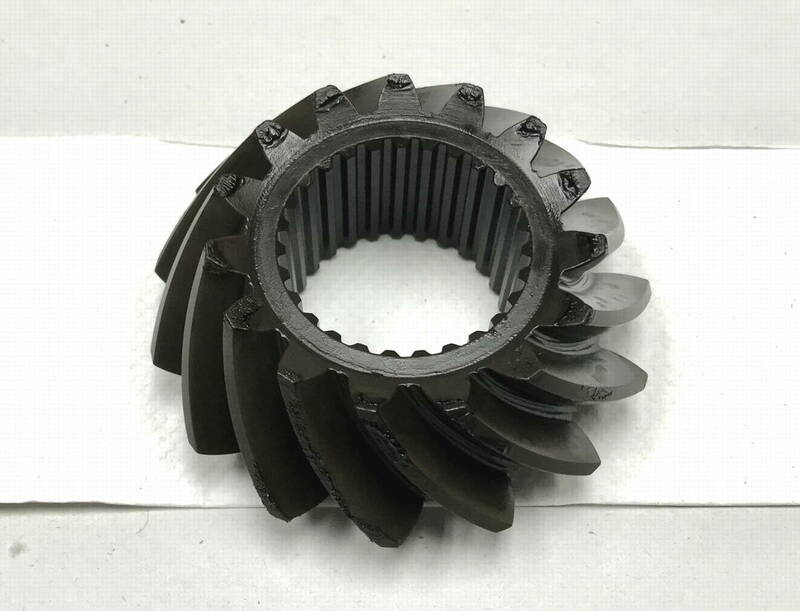 Certainly no part of the gear _shape_ would have been defined by the drawing. 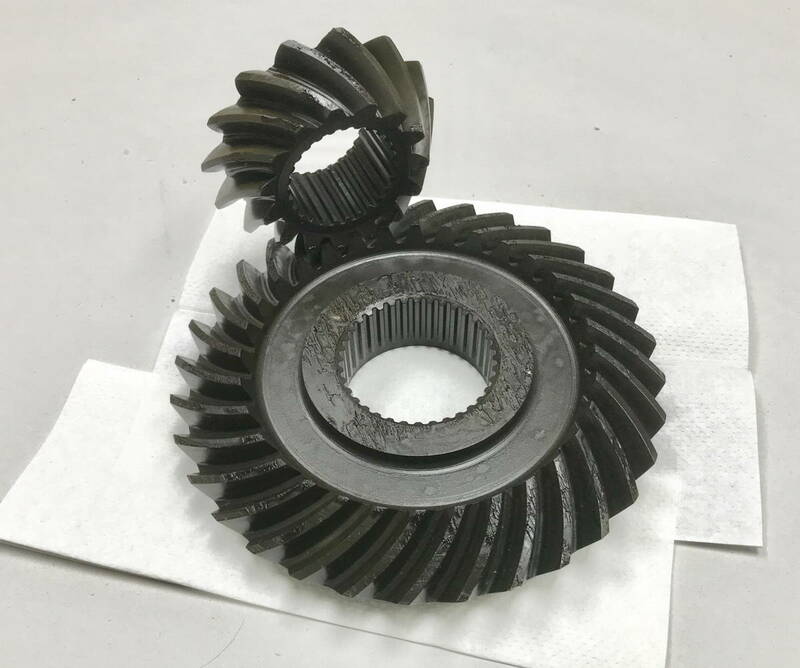 There would have been the required data (tooth pitch, number of teeth, perhaps spiral angle) required to program the gear cutting machine (probably Gleason machine, but possibly not). Gear drawings from this period typically only show one or two teeth and dotted lines for the remainder. Most gears today are still “generated” using hobs and special cutters, though 5-axis machining is coming in as a way to make one-offs.